When William and I got engaged, we talked about eloping (briefly). We weren't overly concerned with the wedding itself because we were just so happy to have found the person that we wanted to live life and grow old with. I was 31 and he was 36 when we got married, so by the time we tied the knot we'd both been in a lot of weddings and had attended even more. While eloping sounded like a fun idea, realistically we knew that we wanted to have a big party and celebrate with our friends and family. We were only engaged for 3 months before we got married, so I suppose that having a relatively short engagement was our way of eloping. 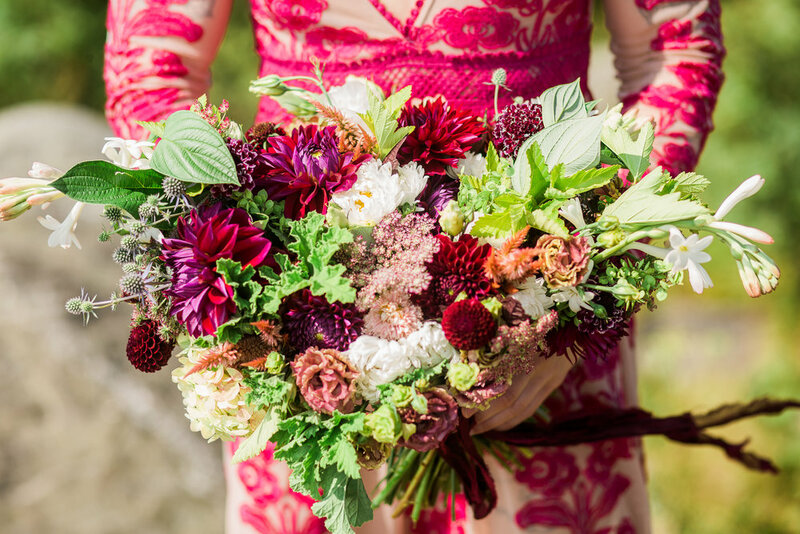 The real reason that I'm sharing our little love story, is that I've had the pleasure of providing flowers for lots of elopements lately and they have a special place in my heart. These couples have been so much fun to work with and I must say, the photos are some of the most spectacular that I have seen from 'wedding' days. Its just a different vibe than a wedding day with lots of guests, planning and preparation - which I also obviously love as well! I suppose that I just adore celebrations of love in any form. Here are some favorite shots from this summer. 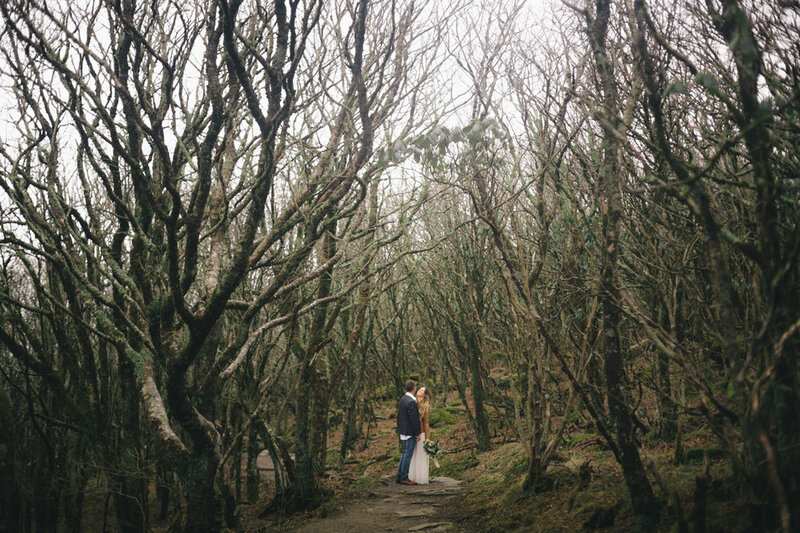 We have so many special places here in the mountains with amazing views to hold a small ceremony. 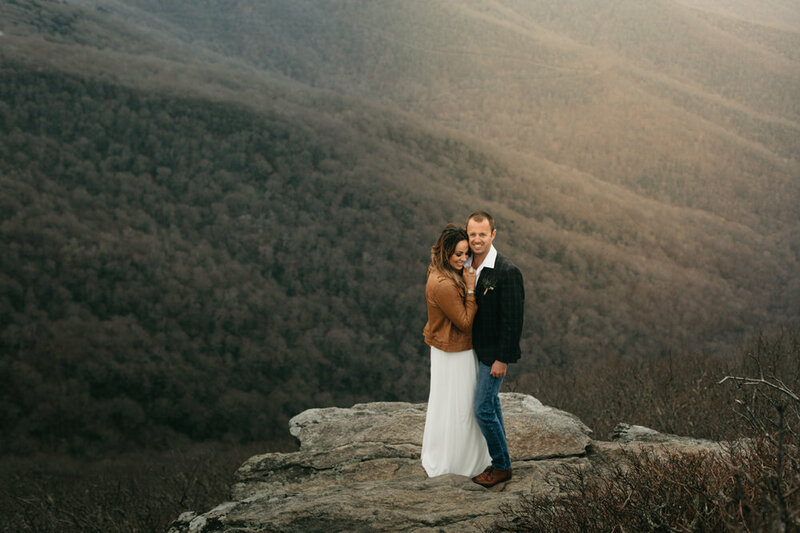 This Balsam Knob elopement was photographed by my amazingly talented friend Meghan Rolfe Photography. 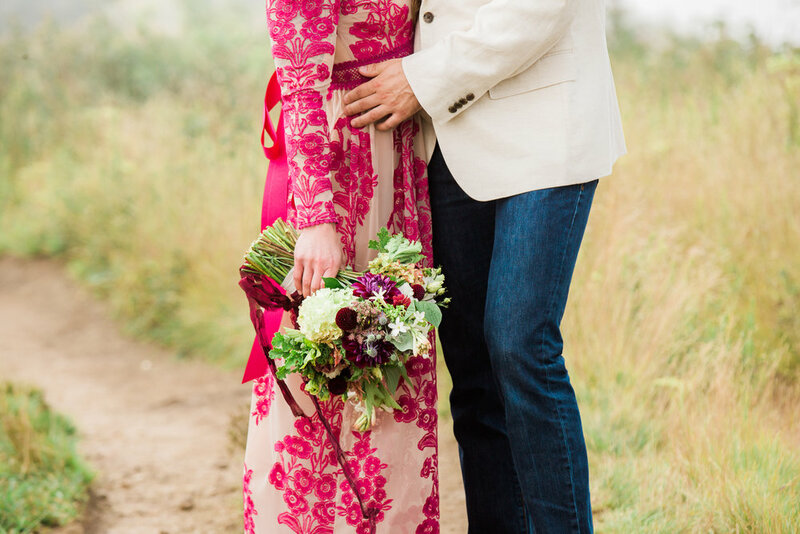 How beautiful and unique is the bride's dress?! Meghan shoots for weddings, engagements, portraits, maternity and elopements. She also offers elopement packages for the ultimate one-stop-shop experience. She knows all the best places with those killer mountaintop (or waterfall) views. Check out Elope Outdoors for more details. 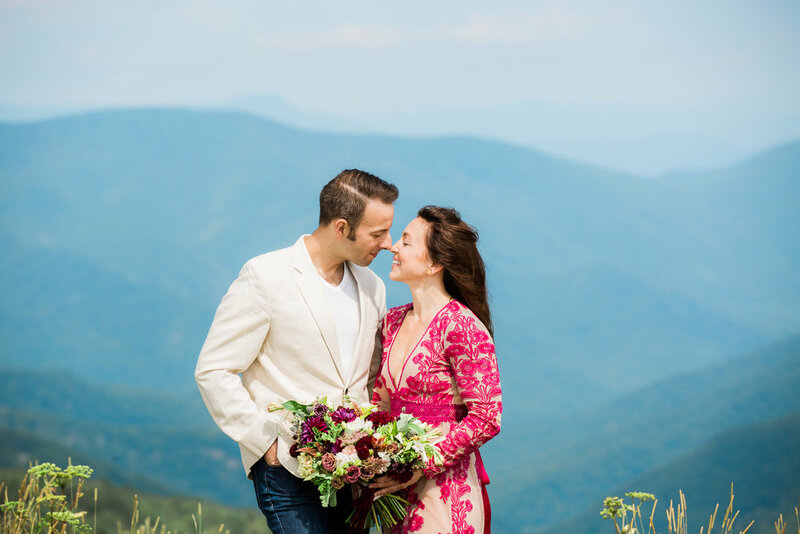 This elopement took place at a scenic overlook along the Blue Ridge Parkway. I just love the way the pink dahlias pop against the Blue Ridge Mountains. 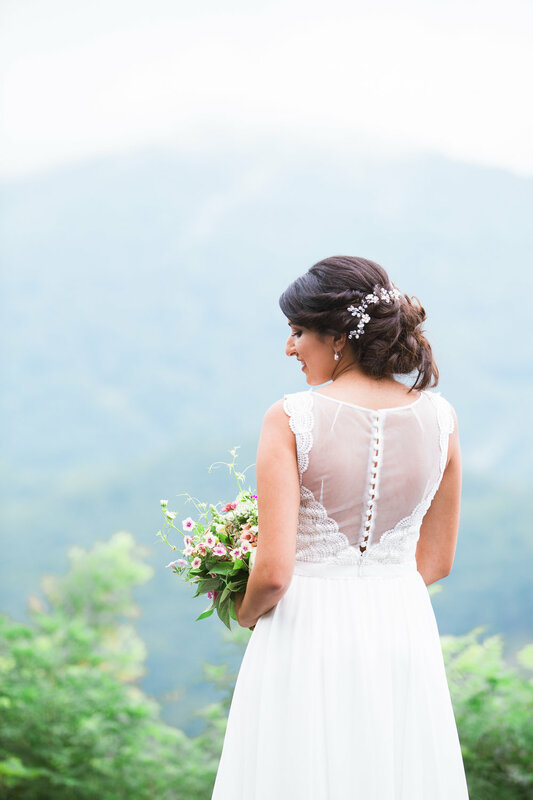 There are so many spectacular options for tying the knot here in Asheville. And the bottom line is that I just love being a very small part of helping people celebrate and declare their love. 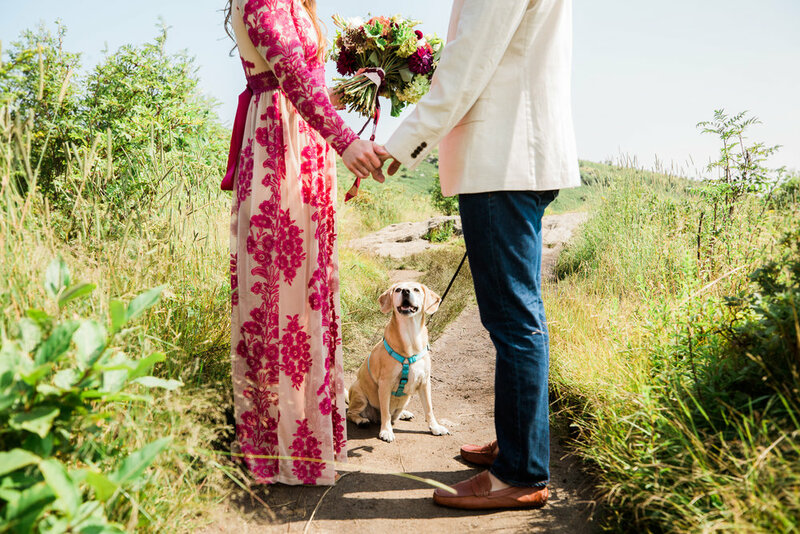 Check out our Elopement Gallery for even more!